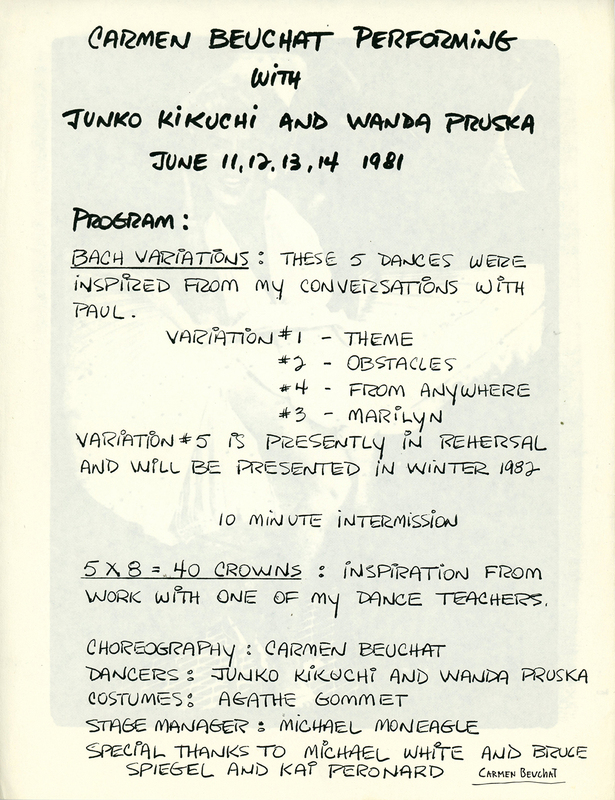 Program of Carmen Beuchat Performing with Junko Kikuchi and Wanda Pruska, June 1981. Works: “Bach Variations” and “5×8 = 40 Crowns”. Choreographies by Carmen Beuchat. Dancers: Junko Kikucho and WandaProska. Costumes: Agatha Gommet. Stage Manager: Michael Moneagle. Acknowledgements to Michael White, Bruce Spiegel and Kai Peronard. Physical Description: Program 28 x 21,7 cm.